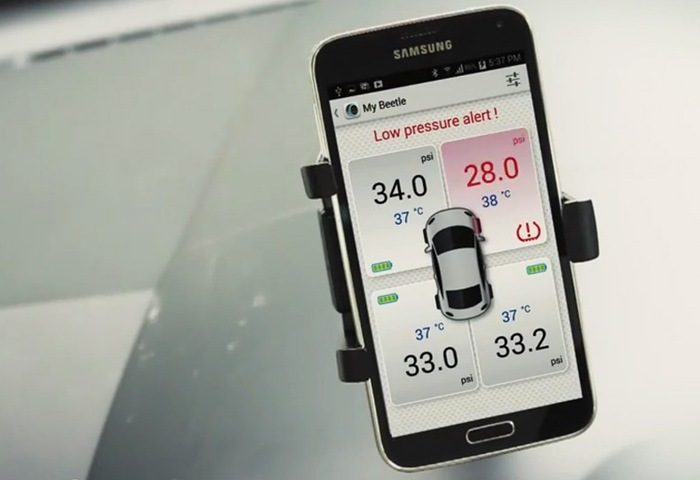 Drivers looking a more convenient way to check the tyre pressure on their vehicle using just their smartphone, are sure to be interested in this new tire pressure monitoring system created by Fobo. Fobo has designed a system that connects to your smartphone using Bluetooth 4.0 and is equipped with a tri-level alert system that notifies drivers of tire condition and notifies them if the tires on their vehicle becomes dangerously low. “FOBO Tire is an advanced Tire Pressure Monitoring System (TPMS) using latest Bluetooth 4.0 that works directly with your Android and iOS device. It also comes with an intelligent In-Car monitoring unit that works simultaneously with your smart phone. So that you will still get an alert in the absence of the smartphone. So if you think the Fobo tire pressure monitoring system is something your vehicle and driving could benefit from, visit the Indiegogo website now to make a pledge and help Fobo become a reality.